The 2017 Volvo S60 isn't just another fancy midsize-luxury sedan. It's a truly versatile platform offering consumers a wide range of variation, power and pricing. The base S60 competes well with the Audi A4 and Lexus IS, while the Cross Country offers the high ride height of an off-road-ready SUV, only in sedan form. Love it! A little young to own a Volvo though. 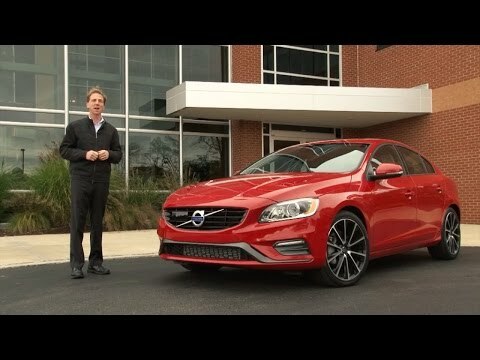 I love the look of the Volvo s60. Personally, I have the car in black, and I think it looks the best in black after seeing it on the road in other colors. I never have any problems with it other than that the defogger makes the car really hot inside. The other thing is that in the past it has been known as an "older person's car" and as a 20-something year old, I feel a little out of place. Fun, safe car with good sound system. My car is zippy and stylish. It has great pick-up for a small sedan. The seats are very comfortable. I used to have problems/pain driving more than an hour and I don't have that problem with this car. I like the sound system too. It took me a while to get used to the keyless entry. I forgot the key in my purse the first time I valet this car. Volvo is hip, reliable and fun. This is a super comfortable car. The seats hug you. The car drives very well. It's a very smooth ride when you leave it on the default mode, but it also has a sport mode which allows for more powerful acceleration. The tech features are pretty standard, but their design is unique. It's a very fun car to drive.